Every project requires a foolproof plan to ensure the best and most desired results. This will not only save time and hassles but will also save money and provide complete peace of mind. Similarly, adequate and proper planning is the best way to deal with the stress involved in relocation and shifting. Therefore, plan well ahead of time and do not rely on the hasty decisions made at the last minute, which more often than not turns out to be wrong and dear. Moreover, if you plan to hire the service of moving professionals, which is ideally the wisest decision to take, you may miss out on the best deals as well. Proper and timely planning will ensure that the entire task is properly managed and well executed. Everything will be packed properly with the right materials used for packing ensuring safety of your goods. Therefore, avoid the biggest mistakes the last minute planners make and make a list of things that needs to be done before you start packing your belongings. The list will ensure that there are no lapses or lacunas in the process and enable you to keep a track of the entire proceedings, ticking the ones that are completed. The primary reason for an increased stress during relocation is the huge number of items that every household has. Handling and packing all these stuff carefully is stressful and it is even increased when you wonder where to start from and how to go about it. The best way to deal with such stress is to sort your inventory and dispose the things that you do not require. You can either sell it off, for that extra bit of cash, or donate it to any charitable organization for that extra bit if mental satisfaction. Either ways, you will reduce the stress factor as less number of goods will mean less stress. 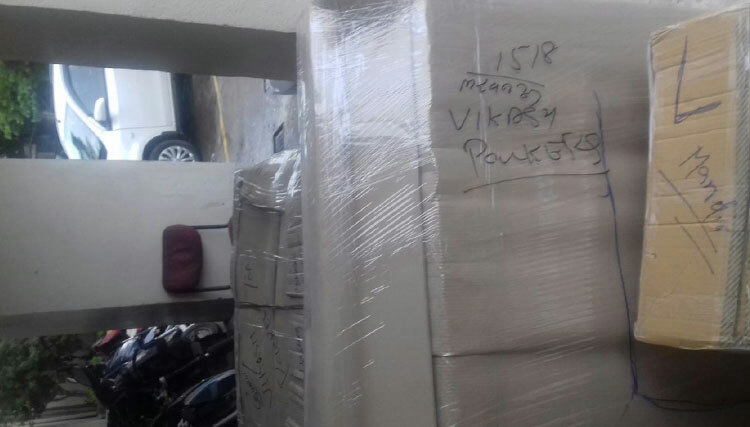 To relieve all tensions, stress and worries about your goods in transit there is only one moving company to call, Vikas Packers and Movers.